On Saturday, April 13, UFC 236 will bring an end to the 42-day drought of UFC pay-per-view (PPV) events, and fight fans are blessed with another two title fights (albeit for interim titles). UFC 236 will be the first UFC PPV event that will be distributed exclusively via ESPN+. We’re here to bring you our picks and predictions for the two important title fights as well as the rest of the UFC 236 main card. As always, you can find our more detailed breakdowns and pre-fight analysis in our UFC Predictions section. You can also find all the latest UFC 236 odds here. 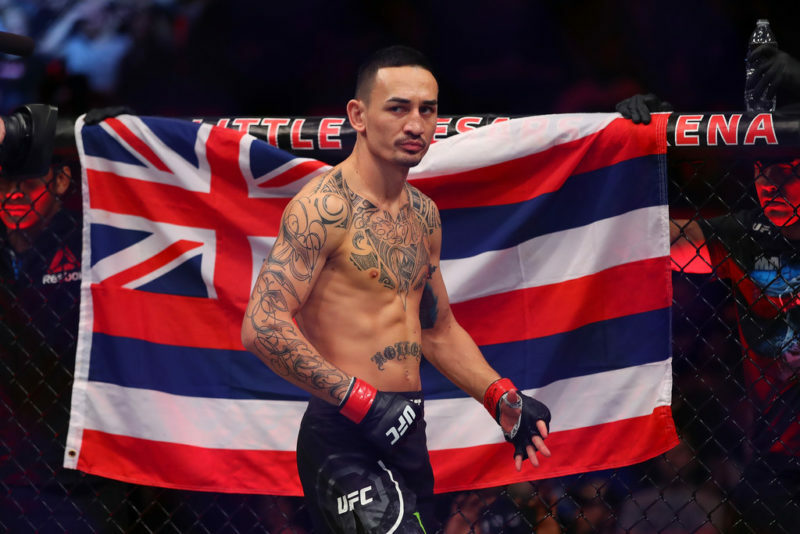 Max Holloway is undoubtedly one of the greatest pound-for-pound mixed martial artists in the world today. 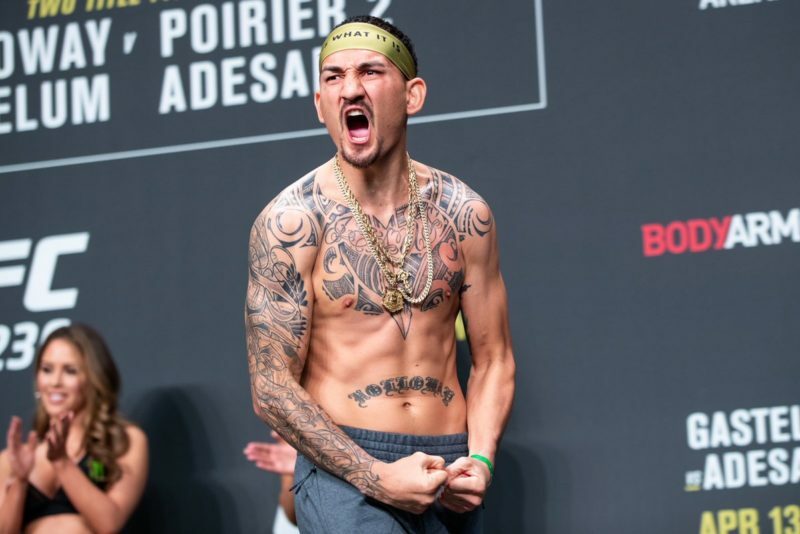 Now riding an incredible 13-fight winning streak, Holloway has beaten Anthony Pettis, Jose Aldo (x2) and Brian Ortega in his last four fights alone. The 27-year-old is showing remarkable improvements to his game every time he steps into the Octagon and it’s a fair assumption to say that there’s a lot more to Holloway’s game that we haven’t seen. 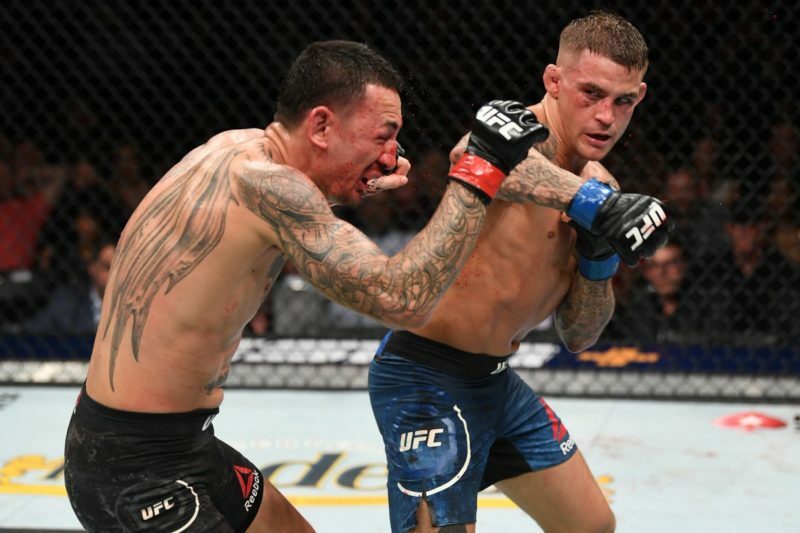 If there’s anyone who can bring out the unknown skills and attributes of Max Holloway, it’s Dustin Poirier. Skilled on the feet and the mat, Poirier has stormed past a bunch of top contenders in the lightweight division to place himself as one of the very best in the world today. 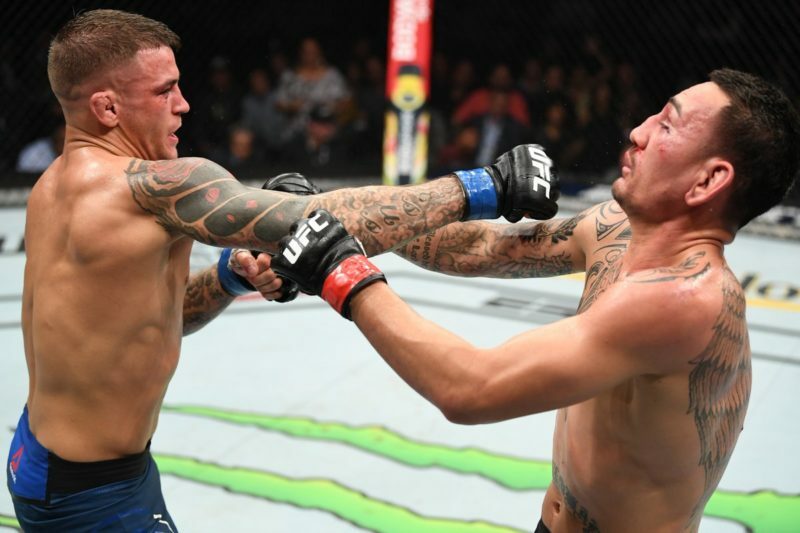 In his last three fights, Poirier has stopped Anthony Pettis, Justin Gaethje and Eddie Alvarez. With a run like that in any other division besides the 155-pound one, Poirier would already be knocking on the door for a legitimate title shot. However, Khabib Nurmagomedov is suspended, and top contender Tony Ferguson is away from the sport for the time being. The winner of this one not only wins the interim title but emerges as the next challenger for Nurmagomedov’s lightweight title when he returns. 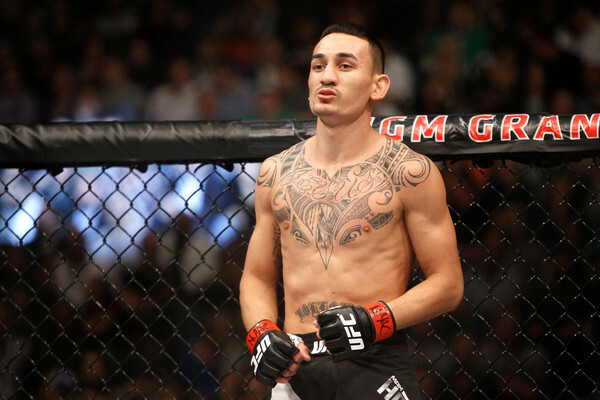 It’s also an opportunity for Max Holloway to avenge an earlier loss on his record. Holloway made his UFC debut against Dustin Poirier at UFC 143 in February 2012 and was submitted by a triangle-armbar combination after just three minutes. But that fight truly carries little to no impact in the rematch that has been seven years in the making. Holloway’s now one of the slickest strikers in the 145-pound/155-pound categories and is known to work the head and body with expertly-timed counter punches and leading combinations. Evidence of his greatness as a striker comes in the form of shutting down Jose Aldo’s counter-punching game and building up the volume of striking as the fight progressed. Poirier’s worked tirelessly to become a highly-regarded boxer in the UFC today. He’s especially skilled at landing with power before carefully dissecting the guard of his opponent to find the best opportunities to land the finishing blows. 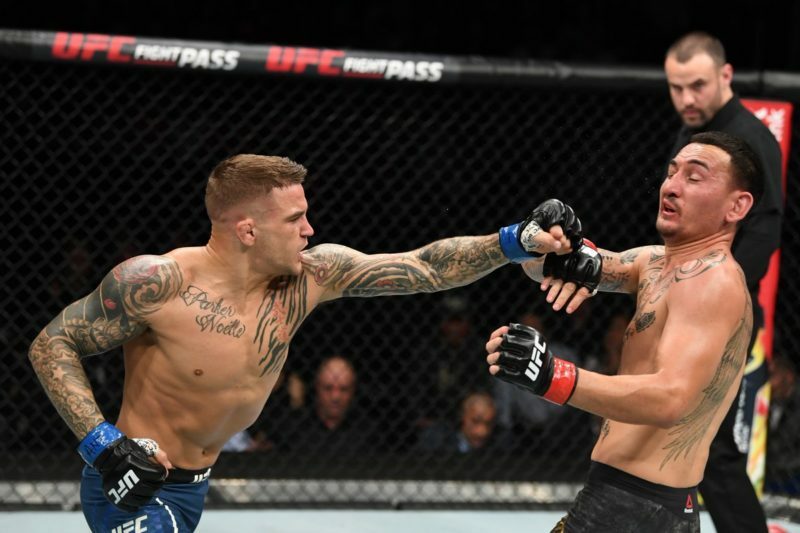 Poirier showed this ability against Gaethje and Alvarez in recent fights, where patiently moved forward and secured a finish by heaping the pressure on his hurt opponent and targeting the head and body with his attacks. If it were any other fight in this main event slot, we’d probably say that it’d be hard to top what the last four UFC main event bouts have brought fans. But Holloway vs. Poirier is a must-watch fight for good reason. All UFC newcomers should be looking at Israel Adesanya’s pathway to the title and taking notes. Consistency is key, and the Nigerian-born fighter from New Zealand has jumped at every opportunity handed to him by the UFC so far. Adesanya made his debut with the promotion in February 2018 and accrued five wins in 12 months to position himself as a top contender in the division. Now considered as a top-tier striker in the UFC today, many believe that Adesanya’s weakness is on the ground. On the other hand, one could argue that the City Kickboxing-trained fighter has a heavily underrated defensive wrestling game. During his UFC career so far, Adesanya has defended 85% of takedown attempts. That’s not to say that Kelvin Gastelum’s only pathway to victory is on the mat, either. Gastelum is a destructive puncher with tremendous power in his left hand, particularly. Adesanya has been caught in the past, and there’s no reason to believe that Gastelum can’t tag him on occasion at UFC 236. But the most credible method of victory for Gastelum is to slice through Adesanya’s guard and submit him on the mat. Adesanya himself admitted that Gastelum ‘could surprise him’ from a grappling perspective, but he plans on not letting it get that far. Either way, this one’s going to be an intriguing battle for as long as it lasts. UFC 236 marks an opportunity to return to winning ways for both Eryk Anders and Khalil Rountree. Anders made a huge impression in his first two bouts with the UFC. After defeating Rafael Natal and Markus Perez, Anders earned a bout with legend of the UFC, Lyoto Machida. Anders dropped a relatively controversial split decision to the Brazilian in Brazil in February 2018 but was able to add to his highlight-reel not long after by almost kicking Tim Williams’ head off from his shoulders. He’s since lost to current light heavyweight title challenger Thiago Santos in his light heavyweight debut and then to Elias Theodorou by split decision in December. Khalil Rountree is in a very similar situation. His knockout victory against Gokhan Saki at UFC 226 should have been a pivotal moment in his career. Finally, fans thought, as Rountree had seemingly tapped into the potential that many had believed he possessed. 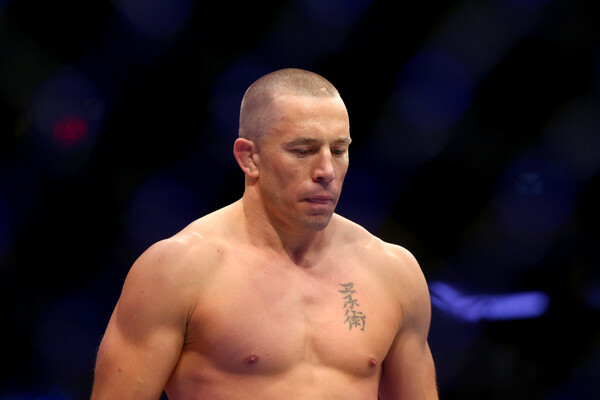 However, it all went downhill for him against Johnny Walker in Buenos Aires, Argentina, as he became the first victim of Walker’s insane three-fight stretch in the UFC so far. Dominated in the clinch and crushed with a powerful elbow, the defeat was enough to inspire Rountree to make the move to Thailand to improve his clinch game. Rountree explained to The Body Lock’s John Hyon Ko that he ‘broke down’ after losing to Walker. He also shared some insight as to what he expects from this fight against Anders. Alan Jouban (16-6) and Dwight Grant (9-2) are set to go head-to-head in what is regarded as a relatively competitive fight by the bookmakers. It’s been almost 14 months since Alan Jouban competed in the UFC. In February last year, Jouban folded Ben Saunders up with a right hand in the middle of round two and earned a brilliant KO victory. 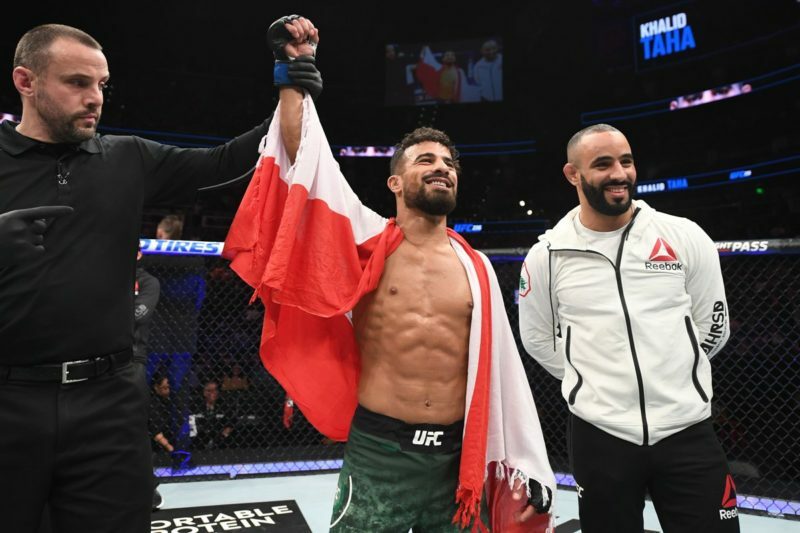 That win was his first since December 2016, as he suffered a two-fight losing streak against Gunnar Nelson and Niko Price. Grant’s set to compete for the third time in five months with the UFC by the time UFC 236 swings around. A bizarre decision cost him in his UFC debut and he recorded his first defeat since 2011 at the hands of Zak Ottow. But he managed to bounce back and earn his first win in the promotion after destroying Carlo Pedersoli with a looping right hand in his next fight. Both of these guys pack power in their hands, and there’s a fair chance that it doesn’t last the distance for that reason. Two of the wildest competitors in the UFC are set to compete against one another in the opening bout of the UFC 236 main card. Ovince Saint Preux (23-12) will face Nikita Krylov (25-6) in a fight that pits two guys who can sometimes show plenty of promise and other times show a noticeable lapse in concentration and make costly blunders. Ovince Saint Preux might be best remembered as the man who submits people with the now-famous Von Flue choke, but he hasn’t managed to win by that method in any of his last four fights. 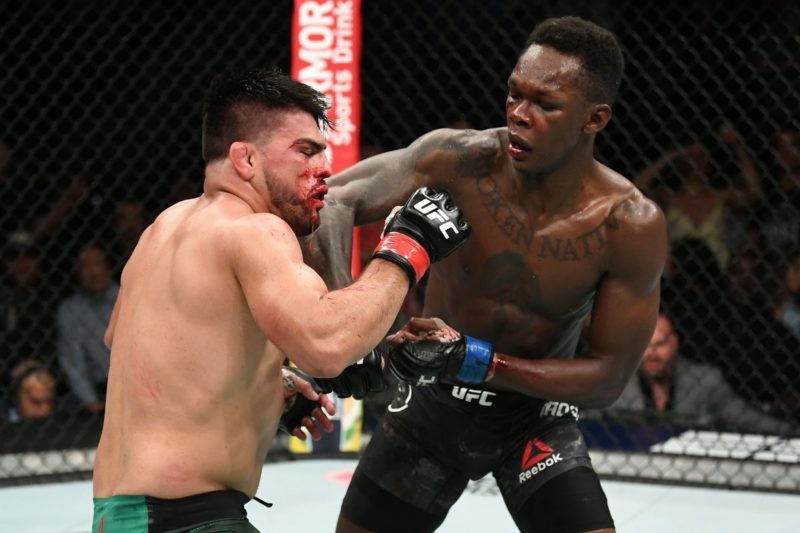 Despite not being the strongest of light heavyweight contenders, Saint Preux has continually been locked inside the Octagon with some dangerous fighters of the division, including Dominick Reyes, Ilir Latifi and Tyson Pedro. The only one of those fights in which Saint Preux managed to come out on top was against Pedro, but that was after Saint Preux was clipped by some heavy shots at the start. Nikita Krylov is a fighter that seemingly has tons of potential but has just never put it all together in the UFC. He once managed a five-fight winning streak with the promotion from 2014-2016, but a defeat to Misha Cirkunov resulted in him leaving the UFC to compete in Russia again. Krylov eventually made his way back to the UFC after four wins, including one against Fabio Maldonado at Fight Nights Global 87, but was defeated in his return to the promotion by Jan Blachowicz via second-round arm-triangle choke. This one is sure to be one of the craziest fights on the entire fight card.